Bodyguard to many celebs including George Clooney, Brad Pitt, Tom Cruise was mowed down by a car in a laneway on purpose. The authorities are aware and let's hope they get to them first. 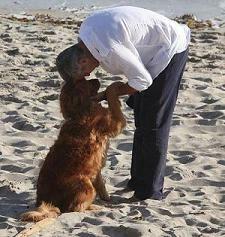 No more new pictures of George Clooney he was spotted a couple of times over the last week. Amal could be back in the UK there are rules on pregnant women flying.